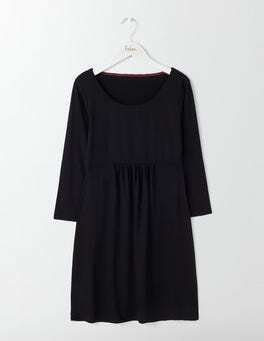 This drapey wardrobe essential is the perfect length for layering over leggings or skinny jeans. We've paid lots of attention to the details with its blouson sleeves, elasticated cuffs and a notch neckline, not to mention the standout prints. 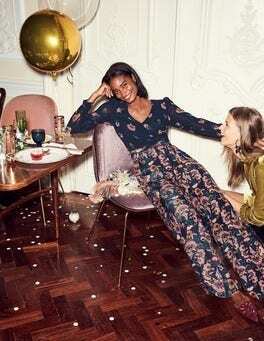 In luxuriously soft silk velvet, these party-ready trousers are a dream to wear. 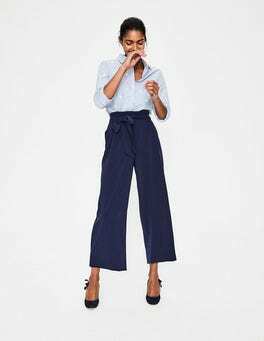 We’ve improved the fit, so they’ve got an ultimately flattering wide-leg cut, and given them side pockets for practicality points. Pair them with heels and prepare to make an entrance. 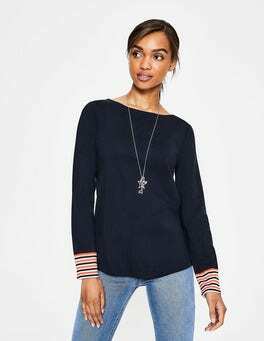 This versatile and easygoing tunic is perfect for wearing over leggings or jeans for a put-together outfit on casual days (our favourite kind). 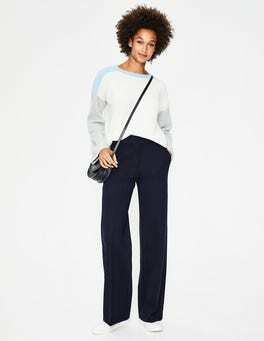 We've given it a scoop neck and added gathers at the waist to make it extra flattering. Effortless style? You got it. Two things you need when the sun comes out: ice cream AND these lightweight linen shorts. Pick from three lengths (all with turn-up hems), so you can decide how much leg you want to show off. The elasticated-back waistband keeps them comfortable whether you're paddling or promenading. …come in smallâ€”or, in this case, shortâ€”packages. 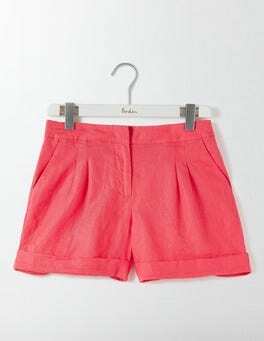 Our lightweight shorts are made from pure linen, with delicate flower embroidery on the side panels. Combine the mid-thigh length design with pom-pom sandals to lengthen those legs. No-handbag day? No problem. The roomy pockets have you covered.